The UN concluded the International Year of Sustainable Tourism for Development in Geneva, Switzerland and Costa Rica reaches a great position due to its efforts. During this year, in an unprecedented manner, the General Assembly of the United Nations declared 2017 the International Year of Sustainable Tourism for Development, a situation that Costa Rica assumed as a challenge to repositioning the country on the world tourism map. Mauricio Ventura, Minister of Tourism, assured that over the years, Costa Rica has become consolidated in tourism with the clear vision of internalizing sustainability as a way of life and for this it has been essential to develop it in its three lines of action: cultural, environmental and economic partner. "When we learned that the UN was going to declare 2017 as the International Year of Sustainable Tourism for Development, we should take advantage of that situation and for that reason, during this year we developed a series of actions that led us to meet the objectives of positioning our country as a benchmark for sustainable tourism. Today Costa Rica has not only global recognition, but we have also become the example to follow in terms of sustainability, "explained Ventura. Within the framework of this vision, from the Costa Rican Institute of Tourism, he was part of the Executive Council of the UNWTO representing the countries of the American continent. The Central American country was also awarded the Prizes for Innovation and Excellence in Tourism of the UNWTO, by becoming the first destination to measure the Social Progress Index in Tourist Centers, which showed that tourism and Costa Rica travel are a stimulating industry that contributes innumerable benefits to local economies and their inhabitants. In the same way, the President of the Republic, Luis Guillermo Solís, was appointed as special ambassador of the International Year of Sustainable Tourism for Development and the UNWTO decided to extend this appointment. Also, just two months ago, Mr. Taleb Rifai, Secretary General of the WTO, traveled to Costa Rica and besides enriching the tourism industry with his experience and human warmth, he witnessed the launch of the CST 2.0. According to Ventura, for 20 years, the Certification for Tourism Sustainability (CST) has helped to consolidate the image of Costa Rica as a pioneer in sustainable tourism, as it is a tool for assessing sustainability in tourism companies; nevertheless, it had to evolve to a norm that was adapted to the current tendencies, to the technological advances and to the needs of an increasingly demanding industry; This is why, this year, the launch of the CST 2.0 was carried out in order to promote the competitiveness, differentiation and quality of the companies and the Costa Rica tourist destination. Also, for the first time in history, the Costa Rican Tourism Institute established an alliance with the UNWTO and CNN International to develop the new tourist identity "Costa Rica. My choice, naturally ", which shows our country as a destination that generates authentic Costa Rica travel experiences that improve the quality of life of those who visit us. "In the framework of this closing ceremony, we appreciate the opportunity and privilege that we were granted as a country, highlighting the commitment we have assumed for almost three decades, when we decided to implement our Tourism Development Model, in which sustainability It represents the cornerstone and is the ideal tool that promotes competitiveness and social welfare, said Ventura. 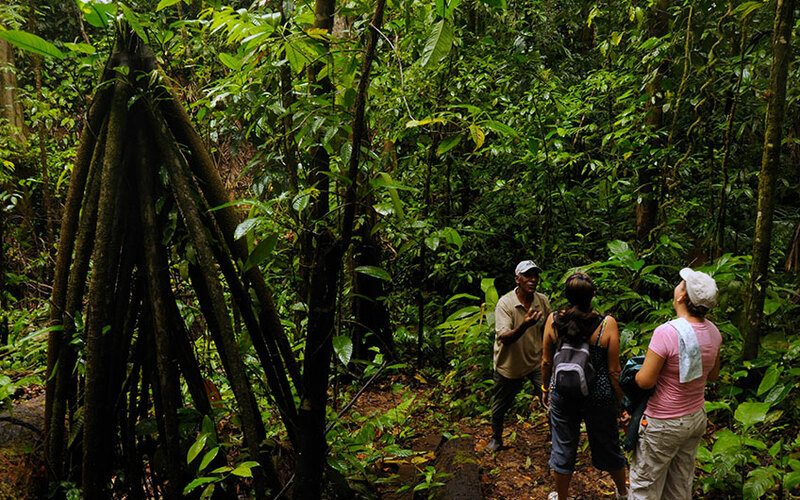 Costa Rica is aware of the even more growing importance ecotourism has among travelers nowadays. The country tries with such great effort to keep the interest of families, solo travelers, specific groups, honeymooners, etc. to enjoy an ecological and sustainable Costa Rica vacation, and that is why this place is leader in the field. Almost all Costa Rica tours show to our visitors the unparalleled beauty of the nature the country has, and this is one of the biggest reasons to be interested in the conservation of our natural resources in harmony with the socio-cultural and economic well-being of the country. Being this way, this important recognition is the reflection of all the hard work put together in order to preserve and to teach others how to take care of mother nature while traveling in Costa Rica. Are you planning a Costa Rica vacation for this summer? Let us help you arranging everything you need or check some of our already made Costa Rica vacation packages Now you know this is a must-visit destination, and you will not regret your visit here. It will be unforgettable!